If you want an Impact LX49 keyboard, now's the time to buy. Following the Arturia/Bitwig Studio bundle we told you about in October, here's another great-value way of getting the aforementioned DAW and a MIDI keyboard controller at the same time. In the UK, you can currently get your hands on a package that features Bitwig Studio 1.1, the Nektar Impact LX49 controller keyboard and the Nektar NP-1 foot pedal for just £249. When you consider that the usual retail price of Bitwig is £239, the LX49 costs £99 and the foot pedal goes for £12.49, that's quite a saving (it looks like the same bundle is available in the US for around $390). Check out your local retailer for more details. 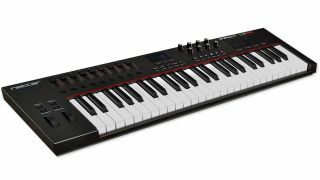 It's also been announced that UK dealers are selling Bitwig Studio on its own at the discounted price of £199 until 15 January and, if you buy Bitwig Studio from a UK dealer before the end of the year, you'll be in with a chance of winning a Nektar Panorama keyboard. Head to the Nektar website for more information.